We have compiled a quick tour video (8 minutes, narrated) highlighting several of our projects over the past few years. More information on all of our projects can be found on these pages. Note: Sorenson Quicktime is recommended for Windows and MAC. Cinepak is recommended for UNIX. High Resolution: If you are a museum, school, etc. and would like a beta or VHS copy of the tour video for an exhibit, email us. Here is a page with shorter video clips. The Leg Lab at the MIT Artificial Intelligence Lab is dedicated to studying legged locomotion and building dynamic legged robots. We are specialists in exploring the roles of balance and dynamic control. We are interested in simulating and building creatures which walk, run, and hop like their biological counterparts. Very little of the world is accessible by wheels. Legged robots may be useful for everything from exploring inaccessible or hazardous locations to providing service or entertainment in the places we live and work. Understanding how humans and other animals walk and run is interesting scientifically and important medically. We do research in natural legged creatures and then model them both in simulation and in real robots. It's lots of fun! Not only are our robots fun to work with, but they're pretty entertaining to watch (we think!) Be sure to check out the videos on the real and simulated robot's web pages. From time to time, we offer the graduate class, Legged Locomotion in Robots and Animals. For fall 1999, it is MIT course number 6.894. 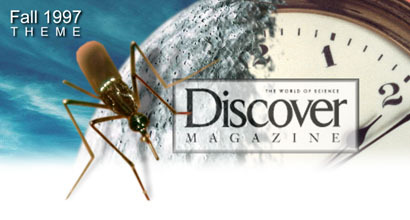 Our site has been selected as a valuable Internet resource for Discovery Channel School's Discover Magazine theme for fall 1997. We are featured in the Assignment Discover Program See How They Run.